Recruiting good staff in agriculture is notoriously challenging and holding on to them even more so. Last month, we reflected on how the dynamic of the workforce has changed significantly over the last few decades and why the industry needs to adapt to such cultural change if it is to recruit the best new blood and prevent employees from jumping ship. Harnessing the right people in the right way is crucial, as is understanding their professional wants and needs. At the heart of this change has been the emergence of millennials (see Farmers Guardian, December 12) but increasing attention is now turning to the next group entering the workforce. Including those born around the mid-1990s, Generation Z is the first global generation of digital natives, consuming their knowledge through the internet and social media and choosing to broadcast the minutiae of their day to an audience which enjoys interacting with that story. When it comes to career goals, Gen Zs are ambitious, want an employer they can respect, are willing to work nights and weekends and actively look for employment which offers certain standards and benefits, according to Growth Business UK. Founder of Millennial Branding Dan Schawbel, who co-commissioned a study which spoke to 1,000 individuals from both groups across 10 countries, including the UK, suggests there are other key attributes which distinguish Generation Z from millennials. “Gen Z has a clear advantage over Gen Y as it appears to be more realistic instead of optimistic, is likely to be more career-minded and can quickly adapt to new technology to work more effectively,” says Mr Schawbel. But many UK businesses are not prepared for them to start work and agriculture, like other industries, is struggling to attract and retain top talent from the younger pool of workers. While some argue young people entering the workplace need to toughen up and understand industry protocol, in reality, this attitude is losing the ability to attract the brightest and best individuals. So what are the key areas the agricultural industry can focus on to help recruit and retain staff in line with wider cultural trends? Security matters: Born between 1996 and 2010, Gen Zs have grown up amid a global recession, war and recurrent terrorism. As a result, they are more risk-averse and seek more stability and security than the freedom and flexibility millennials desire. While they do care about making a difference in the workplace, ultimately they are motivated by job security and personal safety. The rise of entrepreneurial spirit: Growing up with such global, economic and social unrest seems to have also encouraged increased entrepreneurial spirit. Building your own personality and sharing this information across digital platforms is the norm. Gen Zs want to communicate face-to-face: While millennials prefer to communicate over email, research suggests Gen Zs prefer in-person discussion over instant messaging or email. The likes of Skype, FaceTime, Google+ and Snapchat have also allowed this cohort to communicate with a full range of sound and motion, instead of just text, to people all over the world. Transparency and honesty promotes productivity: According to a study by Randstad, a global HR specialist, 38 per cent of Gen Zs and millennials put being able to collaborate in the workplace at the top of attributes which enable them to work productively. 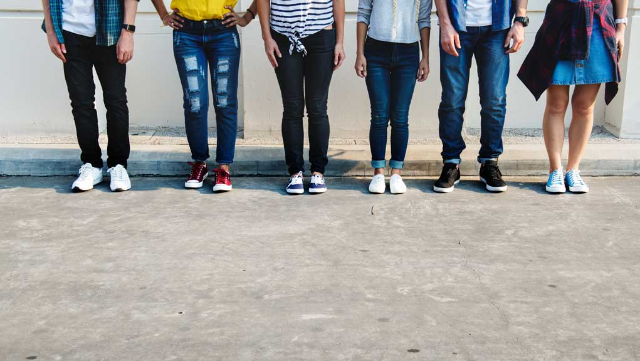 To attract and, more importantly, keep top Gen Z talent, business leaders need to create open and collaborative cultures which rewards on merit, not just time spent in a company. Gen Zs will multitask: Gen Zs have never lived in a world without social media. They are used to constant updates from dozens of apps across a host of platforms and can quickly and efficiently shift between work and play, with multiple distractions going on in the background. As a result, they might not have as much of a strict definition between work and home, an area which could change the workplace even more in the coming years. A work-life balance is required: Young people are considering how their profession will impact their personal life before deciding on a company to work for. The conclusions come from a survey carried out by YouGov, which asked 1,000 respondents between the ages of 17 and 23. One-third said work-life balance was the most important factor when selecting a job, second only to pay.